The Aga Khan Awards for Architecture were announced in Kuala Lumpur recently and among the nine global projects that received the $500,000 award for the 2004 – 2007 cycle are two architectural restoration projects from The Republic of Yemen. The Rehabilitation of the City of Shibam and The Restoration of the Amiriya Complex in Rada both demonstrate the scope of the Aga Khan Award’s efforts to encourage and promote building practices that successfully address the needs and aspirations of today’s Muslim societies. All of the award-winners this year exemplify the best of forward thinking design, particularly in their willingness to look to historic building methods and affordable local materials as a means to create solutions for the seemingly insurmountable problems of community neglect and decay. The restoration of the Amiriya Complex in Rada involved the training and employment of 500 craftsmen and artisans who used traditional methods to rescue the historic 16th century complex, which had been in a precarious state for years. 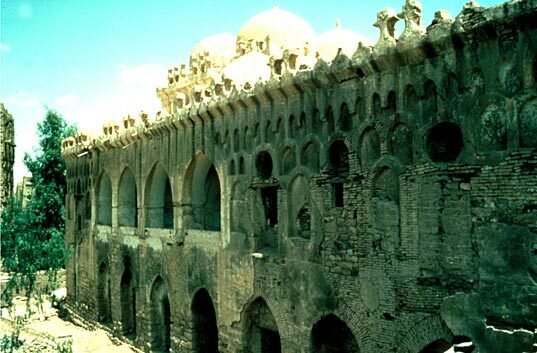 The complex, which encompasses a prayer hall, school and sultan’s living quarters, is considered to be one of the richest examples of Islamic architecture in the world. Shibam, with its 500-year-old multi-story mud buildings, was becoming a ghost town despite its inclusion on the UNESCO World Heritage List in 1982. As a recent recipient of the Aga Khan Award funding, builders were able to restore the ancient ‘skyscraper’ houses and modernize the sewage infrastructure in order to keep Shibam a living city with vibrant public squares and plazas. Alluvial mud (typically collected from flooded agricultural fields in the vicinity of the city) was mixed with local hay and straw for wall and surface reinforcement. All building materials for the project had to be hauled through the narrow streets of the city and up to the top of the houses during reconstruction. 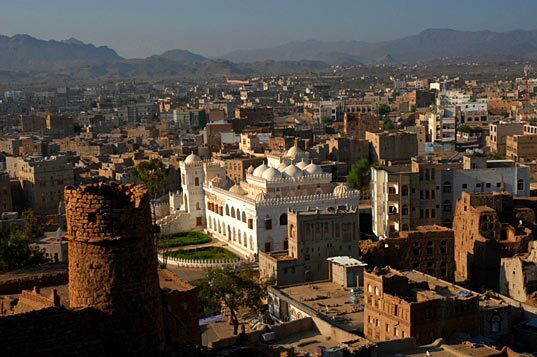 The hands-on effort between architectural teams and local artisans and builders who worked so diligently on the award-winning Yemenese projects allowed for a melding of urban renewal with the conservation process, as both communities were able to reinforce the link between their unique cultural heritage and improved economic conditions. I heard about the city of Shibam on the BBC, and looked it up as well as the Aga Khan awards. Thank you for the wonderful photos. It truly is amazingly beautiful. I am impressed by the work people have done to repair the city, and the photos share the experience with us. It is wonderful that this work is bringing the city back to life. "Yemenese" isn't a word! Things or people of or pertaining to Yemen are called Yemeni. Cool article though! The Aga Khan Awards for Architecture were announced in Kuala Lumpur recently and among the nine global projects that received the $500,000 award for the 2004 - 2007 cycle are two architectural restoration projects from The Republic of Yemen. The Rehabilitation of the City of Shibam and The Restoration of the Amiriya Complex in Rada both demonstrate the scope of the Aga Khan Award’s efforts to encourage and promote building practices that successfully address the needs and aspirations of today’s Muslim societies.